If you have potted plants in your home, then you’re probably no stranger to fungus gnats. These tiny, flying insects like to eat fungi, and the fungus gnat larvae thrive on the decaying organic matter in overwatered indoor plants. While fungus gnats can’t harm you, a severe infestation can be extremely annoying and painful to eliminate. While fungus gnats won’t bite, they can destroy your houseplants and plants in your garden. Female adult fungus gnats can lay up to 300 eggs throughout their life cycle. They lay eggs in the top of the soil. During the larval stage, the fungus gnat larvae will feed on whatever organic material is in the soil, including the plant roots. The good news is you can use a common household item to kill fungus gnats. Will Hydrogen Peroxide Eradicate Fungus Gnats? Hydrogen peroxide (H2O2) is one of the best natural methods for killing gnats that have taken up residence in your home. 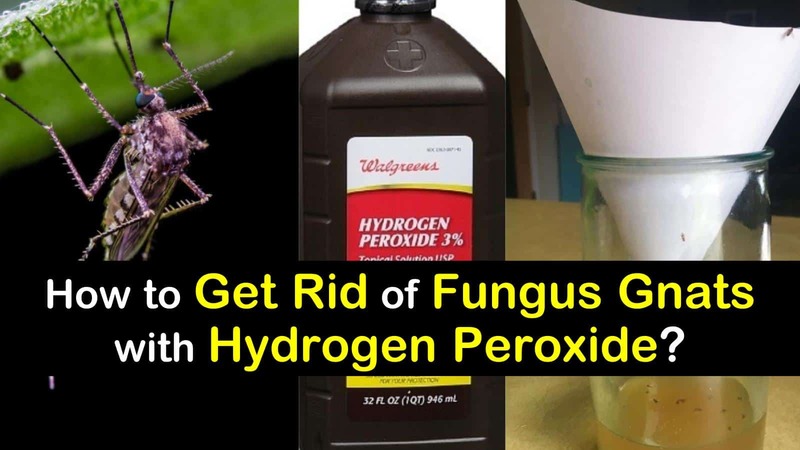 Not only will the natural home remedy kill fungus gnats in all of their life stages: eggs, larvae, pupae, and adult, but you can use hydrogen peroxide for plants without killing them. 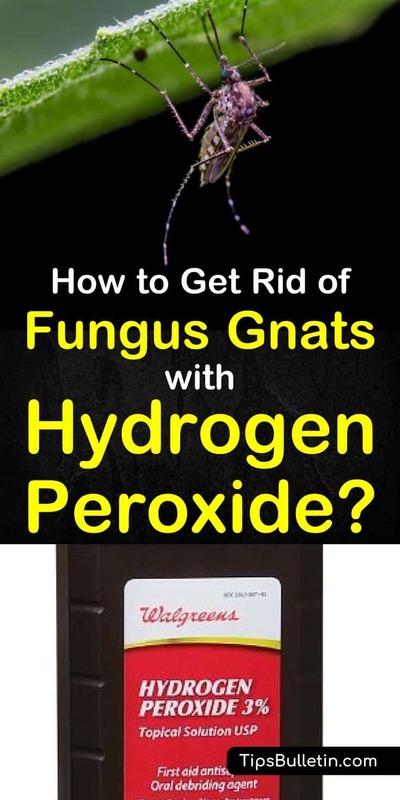 Here’s how to get rid of fungus gnats with hydrogen peroxide. Add the 3% or higher, hydrogen peroxide solution and the water to the spray bottle. Replace the cap on the bottle and gently shake to mix the ingredients thoroughly. Make sure the top layer of soil dry before you begin the treatment. Spray the solution to the underside of your plants and the top layer of soil. The soil will start to fizz, this is normal and is a sign that it is working. Once the fizzing stops, the hydrogen peroxide will break down into oxygen and water molecules. The adult flies and larvae will die upon contact with the hydrogen peroxide. Repeat the process until you no longer are dealing with a fungus gnat infestation. Are There Any Other Natural Pest Control Methods for Dealing with Fungus Gnats? There are several other natural methods to deal with a fungus gnat infestation in your home. The most effective way to get rid of adult gnats and fruit flies is by creating your own apple cider vinegar trap. Just add some apple cider vinegar and dish soap to a small container and cover it with plastic wrap. Pierce a few small holes in the top of the plastic wrap, so the gnats have a way to enter the trap. The gnats and fruit flies will come into the container and won’t be able to escape. Fungus gnats, while not harmful to humans, can quickly destroy your plants and are extremely challenging to deal with. One of the best natural methods for killing gnats is hydrogen peroxide. Not only will the H2O2 instantly kill the adult gnats buzzing around your plants, but it will also effectively kill the eggs and larvae that are hiding in the soil of your plants. We hope you enjoyed learning how to get rid of fungus gnats with hydrogen peroxide. If you found the information in this article useful, please feel free to share it with your friends and family.